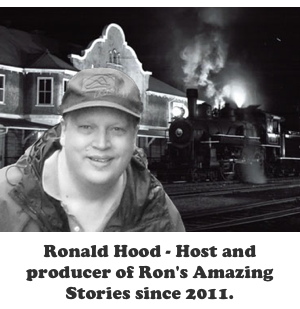 We have a treat this week on Ron’s Amazing Stories. MJ Preston is here to talk about his newest book, ACADIA EVENT. The book was inspired while he personally was trucking the world’s longest ice road. We also give a tribute to Richard Warren Field’s book The Sultan and the Khan. Which is now available at Amazon. 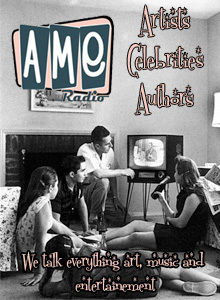 On this episode of Ron’s Amazing Stories we have a story from Afghanistan and a bright star in the form of Fred MacMurray. One does not flow into the other. 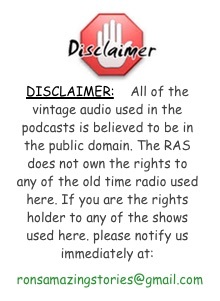 This time on Ron’s Amazing Stories we have a real round up for you. Mike McNeff is here to help us introduce a classic western episode of GunSmoke. We also have a few emails and horse race you will not want to miss. On this program we have a tribute, a couple of murders and some exciting news. As always I hold myself responsible for what you hear and you can never be sure what that might be.